Christmas. Kid in a candy shop. Heaven. The hubs and I loaded the minivan and headed to Baltimore on Wednesday afternoon, and 8+ hours later we arrived. Now, you may be thinking what a long and terrible drive, but NO! As parents of two wonderful but chatty children, we cherished the 8 hours of adult conversation and quiet!! That alone made the trip worth it! :) We enjoyed every minute of the long drive (except for the construction on 85 near Charlotte. Yuck. Nobody likes that mess). Baltimore is a beautiful city, the weather was perfect, and our hotel was across the street from Camden Yard! Score! My husband was thrilled, even though there were no games being played in it. He was happy to just be in its presence. The hotel had a baseball theme which also made him happy he took off work to come with me to this! Thanks Cramzee! You are the best manager, promoter, social media expert, sample holder, and card passer-outer I’ve ever had!! So the next 3 days were spent strolling the Expo floors, perusing booths of natural foods and products, along with meeting bloggers and connecting with those in the industry. Free samples everywhere we turned! We basically ate all day, every day. Nice. (also ensured cramzee will be interested in going again next year). The face-to-face meet ups were the best! I met Nutrition Diva, the Healthy Apple, AllergicGirl, The Gonzolution and several on staff at New Hope 360. 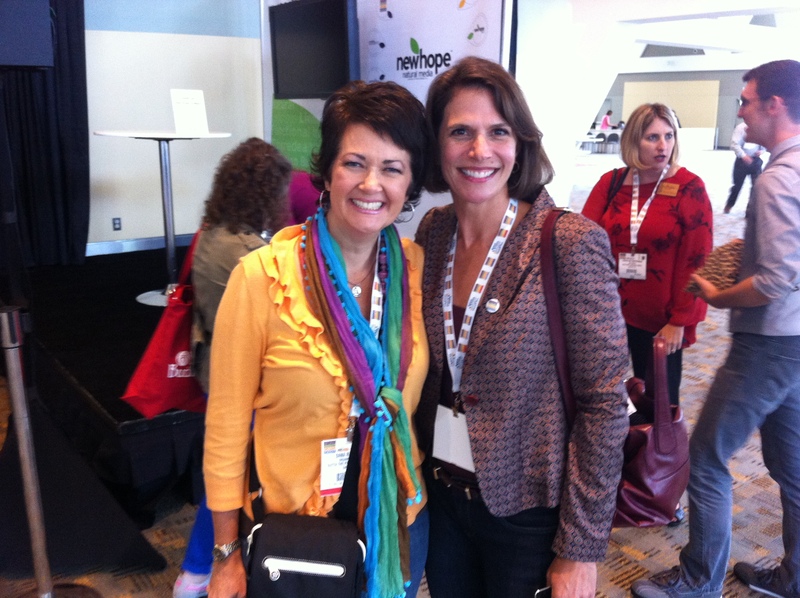 (Village Green Network was there too, along with FoodBabe and Living Maxwell, but I didn’t get to meet them!) Meeting the entrepreneurs and creators of new products (i.e. moms and dads who wanted better for their kids) was so inspiring! It was all the things I love to do under one roof: eat, talk, and take pictures of healthy stuff! It was literally 3 days of heaven for me. I know I’m where I’m supposed to be and doing what I’ve been called to do because it was a natural fit (pun intended) in every way. I was a little tired by the end of day 3, but extremely fulfilled! 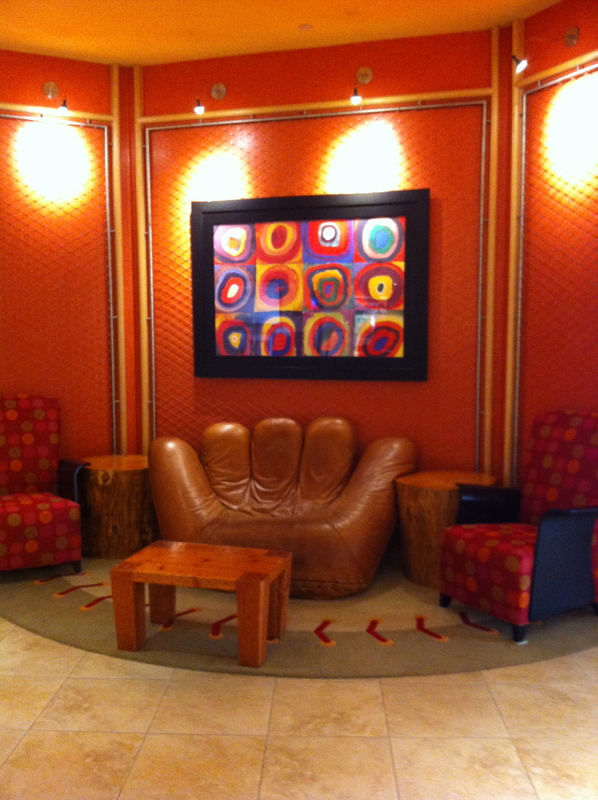 I found several stand-out products that I will share with you in the next post. I’m inclined to show you every picture (like a proud mama), but I will try hard to narrow it down to a Top 10 List. I also noticed some industry trends I want to share with you, but again, I’ll save that for another post. I need to get to the pictures now…. Where it all began. On the first aisle. Day One. Can you see the anticipation on my face??!! I did make it to every aisle, but could not stop at every booth, sadly. 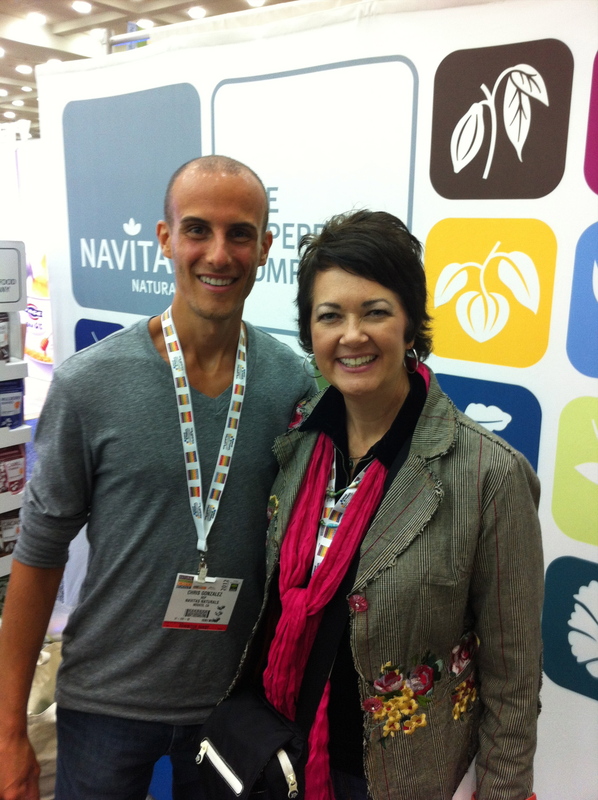 OMG, I met the Nutrition Diva. She was lovely. I was a little star struck. 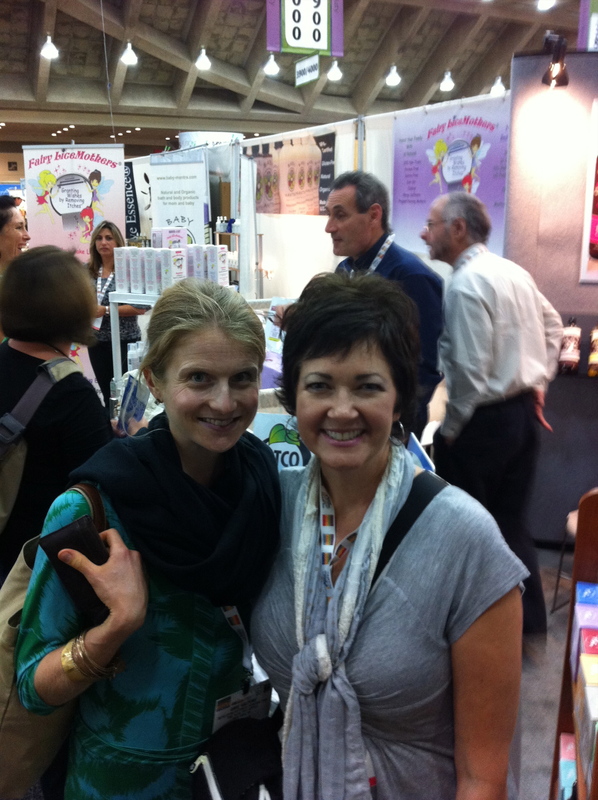 The beautiful Donna, natural products broker and friend, who is just as lovely on the inside as she is in this picture! I met one of the creators and founders of Sea Snax. I was so thrilled to tell her how MUCH my kids love her creation! 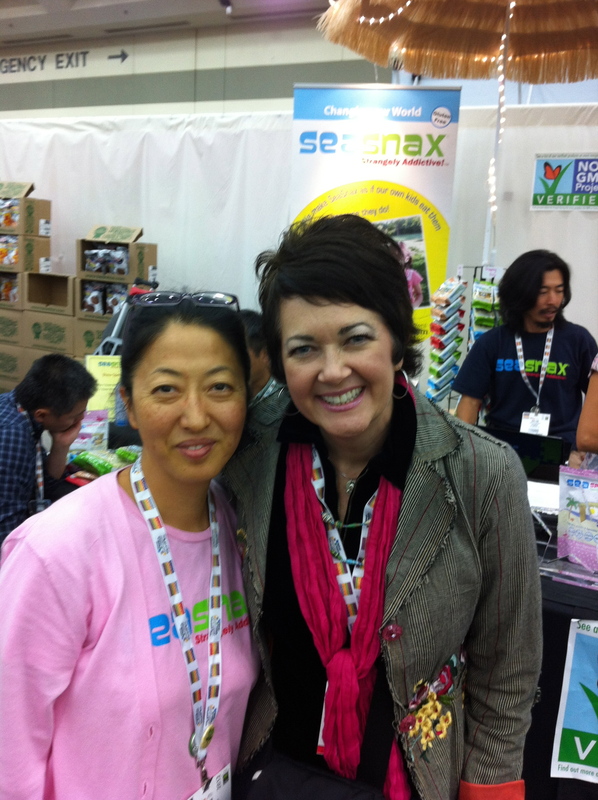 Sea Snax was an Innovative Product Award Winner this year! Happy to meet The Gonzolution, and put a face with those beautiful pictures he posts! 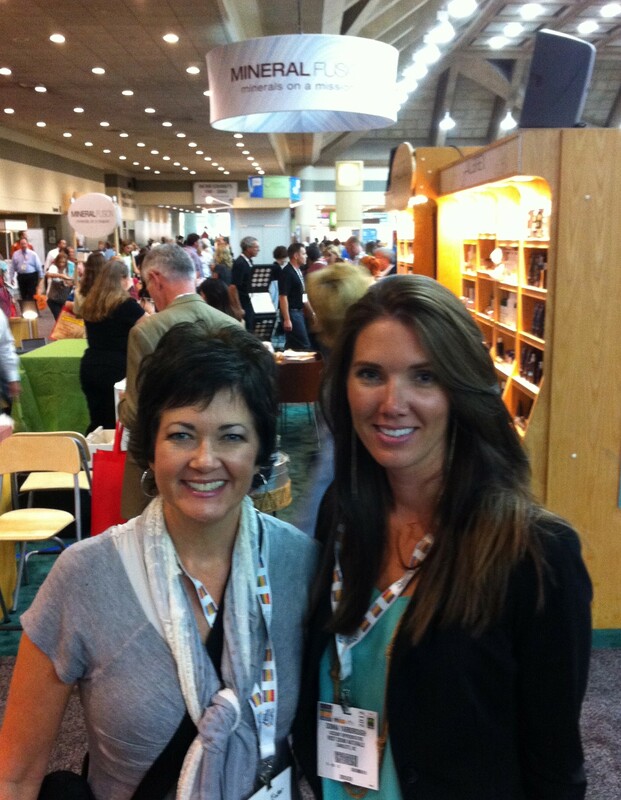 Meeting at the Navitas Naturals booth is always a good thing! Ran into The Healthy Apple unexpectedly and it was so fun! Thanks for letting me share my trip with you! Have you ever been to Expo East or Expo West in California? I hear that one is WAY bigger! If you know of any other trade shows, etc. I should attend, please let me know. 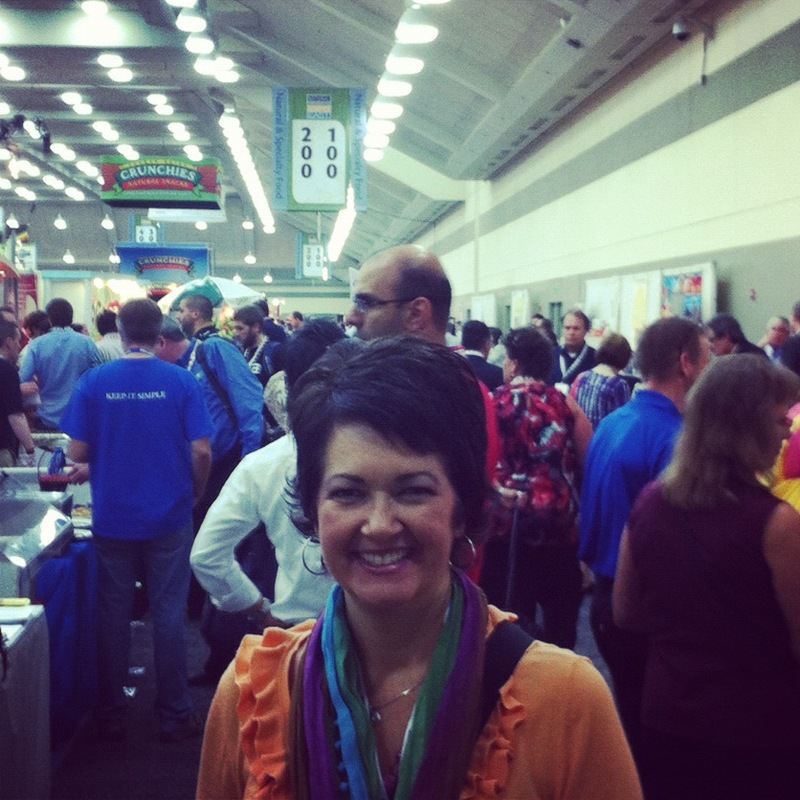 Hope some of you can join me next year in Baltimore! This entry was posted in Trade Shows and Conferences and tagged Baltimore, baseball theme, camden yard, Expo, Expo East, Facebook, InstaGram, Natural foods, natural products expo, travel, Twitter by OrganicEater. Bookmark the permalink. So excited that you got to go!!! Cool! We’ve never tried Sea Snax but now we will. Thanks for putting The Healthy Apple, Gonzolution and Nutrition Diva on the radar. More new names I look forward to checking out and following on FB & twitter.